We all have been there: it's a hard day's night and studying your target foreign language is the last thing on your mind. But you can still stick to your commitment to study it every day. How? Think Facebook. Think memes. Let's face it: if you are addicted to Facebook like me, you will be scrolling down your Facebook news feed at some point anyway. Especially when you have an excuse of being incapable of doing anything after a hard day at the office. So, why not inject some language practice into your Facebook habit to make it more useful and make you feel good about yourself? meme /miːm/ 2. an image, video, piece of text, etc., typically humorous in nature, that is copied and spread rapidly by Internet users, often with slight variations. In this post I will look at the memes that are pieces of text with or without pictures. Like the below ones in English, German and Russian. I am pretty sure you have come across such memes in your own language too. Thanks to the Internet and globalisation, memes are a more or less universal phenomenon so they come in different languages. So, you can actually find them in the target foreign language you are studying. 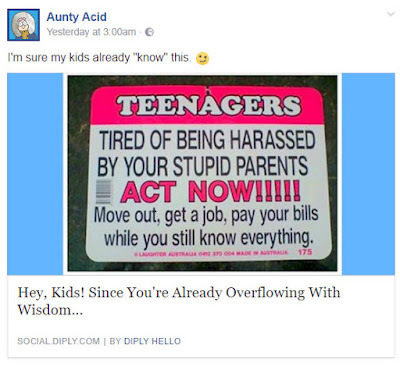 Why is it a good idea to use Facebook memes to grow your vocabulary? There are several reasons. Reason #1. The vocabulary is used in context. A meme is not an extract that you cannot understand without reading the whole text. A meme is a well-rounded text so words and phrases included into it are used in context. And context is king when you need to learn words and phrases as only in context you can fully understand their meaning and see how they are used. Reason #2. It is the most up-to-date vocabulary. Language is not some precious gem hidden away in a treasury of super wise books some super wise scholars guard. It's a living and breathing organism that constantly evolves. Technology has put our life on fast forward and language reflects this rapid development as well. Memes are ideal transmitters of the most current vocabulary. As a learner of German, I have come across some words I couldn't have found in textbooks, for example ‘geliked’ and ‘entliked’ (past tense from ‘like’ and ‘entlike’, i.e. ‘to like’ and ‘to unlike’ in social media context). I believe most German native speakers know these words though they are not reflected in dictionaries yet. Reason #3. Same memes are posted in different languages. Yes, it's called the Internet. The information is shared by the whole world. No wonder the same memes pop up in different languages. And it's a definite bonus for language learners as very often halfway through reading a meme in their target language they already know what it's about. Thus known content compensates for the unknown form, i.e. foreign language. So the foreign doesn't seem too foreign any more helping you to remember the words and phrases better. Reason #4. It is relevant and familiar content. Memes often tap into something familiar like a typical situation or belief. They can also tap into the latest news and current affairs. So, the broader context memes tap into is relevant to most people. Therefore learning words used in memes is not like trying to remember some medical terms out of the blue when you have nothing to do with medical science. As in the case with the same memes posted in different languages, you have the same situations / beliefs / current news referred to in different languages. So, the relevant familiar content compensates for the unknown form. And again the foreign doesn't seem too foreign any more hence you remember the used words and phrases better. Reason #5. It is fun! Memes are a lot of fun! The humour of memes is based on the situation it describes or choice of words or both. If the text is accompanied by a picture, it usually adds to the humorous effect or is directly involved in creating it together with the text. Humour is one more reason you remember words and phrases used in a meme better. Reason #6. It is shareable. As memes are funny, you feel the urge to share them to spread the joy, to have a giggle with your friends. And I mean with those friends who speak this foreign language as well as with those who don't. When you share memes with your friends who speak or learn the same foreign language as you, there are linguistic benefits involved for both parties, as next time your friends are sure to reciprocate and send you funny memes they come across. When you share with your friends who don't speak the language, there are status benefits lol. You share a meme and casually translate it for these ignoramuses. Next thing you know you get nicknamed ‘professor’. Not bad, huh? Reason #7. No search needed. With memes you can be lazy. Normally you search high and wide to get the content you need to study your target language. Considering how big and noisy the Internet is, it's not an easy task. With memes you don't need to search. They find you instead. Facebook with its algorithms has made it easy. You follow the sources that share memes on Facebook and make sure you hit ‘like’ when they pop up in your news feed so that Facebook shows you more of those. Reason #8. Comments are included! Comments are a bonus you get with memes. With comments you can read conversations native speakers have in reaction to a meme. If a topic is controversial, grab popcorn and something to record words and phrases in and start collecting. Once confident enough with the means of expressing your own opinion, you can chime in too! 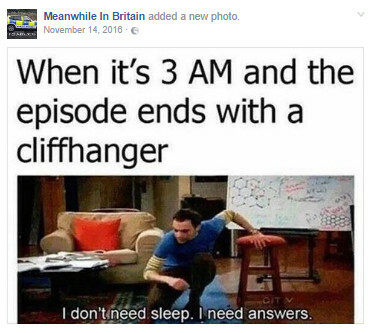 So, these are the reasons why Facebook memes are useful for growing your foreign language vocabulary. And although memes help you remember this vocabulary better, you will not necessarily be able to remember it instantly. That's where spaced repetition software that creates tests with your target vocabulary, comes in handy. I have been using vocblocks as it allows you to attach images, i.e. memes to the words you learn. Thus you have the context (and the relevant picture if there is one) at hand. You can go ahead and grab the sets of English, German and Russian memes I have created to start you off. If you find it an effective and fun way to grow your vocabulary, you can create your own sets either on this website or on any other you use. I have provided below a list of Facebook pages you can follow that post memes. Happy learning!